We are just starting on site at Yorkshire Wildlife Trust’s Stirley Community Farm. The project will involve the transformation of a derelict cow byre into an eco exemplar education centre. 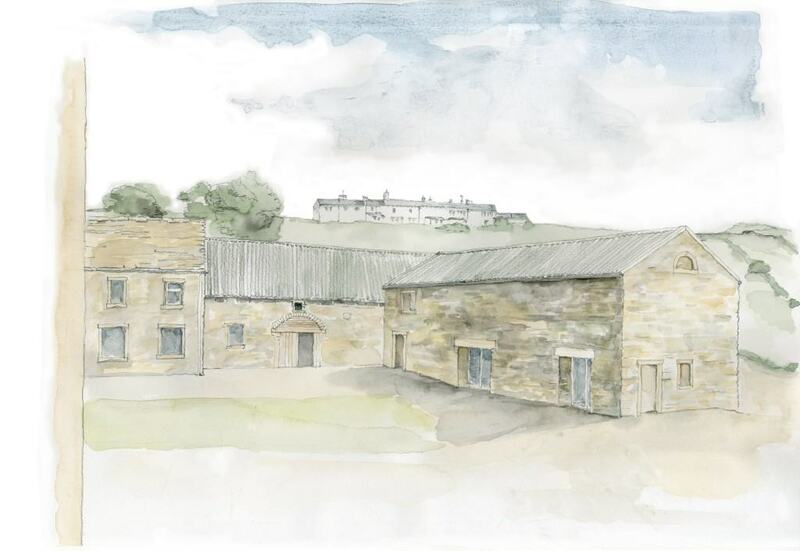 We will be building a super-insulated timber frame structure inside the existing stone building, preserving the outward appearance of the barn, while working to EnerPHit levels of performance. EnerPHit is the Passivhaus Institut ‘s standard for retrofits and recognises the difficulty of achieving a full Passivhaus standard in existing buildings , by having slightly relaxed requirements for airtightness and space heating demand. We’ve gone for the EnerPHit rather than the Passivhaus standard for the project, mainly because of the orientation of the barn itself, which is north facing and on a very exposed position on a hill above Huddersfield. The project is the result of Yorkshire Wildlife Trust’s forward-thinking approach to the restoration of its Stirley Community Farm buildings. The Trust have come completely onboard with the Passivhaus ‘fabric first’ philosophy to reduce building energy use to an absolute minimum. The EnerPHit ‘Cre8 barn’ (funded by Veolia Environmental Trust), will really fit in with what they are trying to achieve at the Community Farm. The project has been developed to planning stage by EcoArc architects, whose drawings and designs were used to get planning permission and secure capital funding for the project. EcoArc also explored procurement options with the Trust, including design and build contracts, which is when we got involved and were later appointed by the Trust to lead the project and take it further. We are undertaking all PHPP modelling and Therm calculations on the project to help us develop the design details for construction. We are being ably assisted with this by SGM structural engineers, who are helping us with all the structural elements of the detailing. As with Denby Dale, we’re working with the clients and design team through a partnership contract tendering procedure. 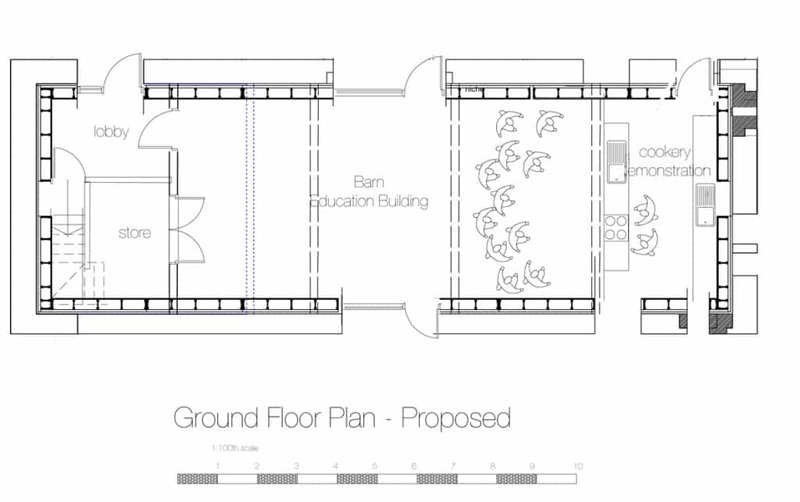 The project will create a flexible, multi-purpose space, incorporating a demonstration kitchen, two teaching area, reception and storeroom. Prevention of water penetration through the external barn wall and rising damp. Best of luck for the project to you and your team Bill. A very interesting scheme and I look forward to following it’s progress.